Marine biologist Dr. Paty Matrai is talking about Coccolithophores from her office in Maine’s Bigelow Laboratory for Ocean Sciences, where she is a lead research scientist. 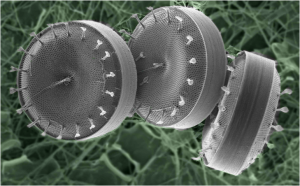 This intimidating word is a type of phytoplankton (remember that from science class? ), or a tiny marine plants. 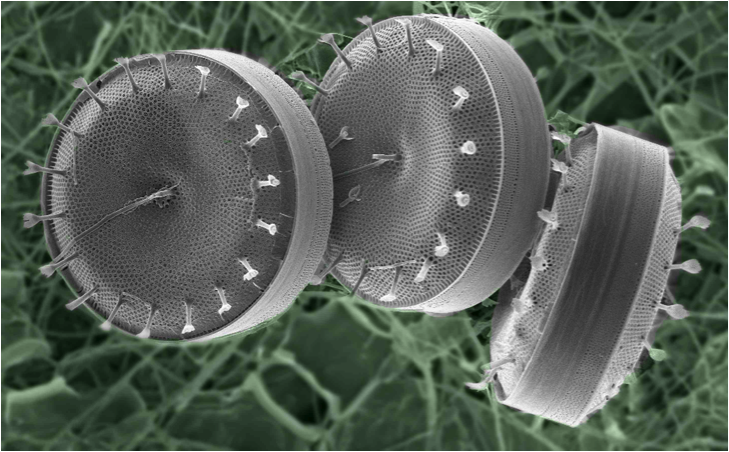 Abundant and vital phytoplankton are both the smallest, but most important microorganism in the marine food chain and are key to a healthy ocean and planet. Disturbances to these plants, such as ocean acidification (the increase of carbon dioxide in the oceans that produces carbonic acid, which reduces the ph of the water) affects the entire marine population. Phytoplankton produces much of the oxygen in the ocean and half the oxygen on land. They are effectively responsible for creating the oxygen in every second breath we take. Turns out, some varieties of this ocean movie star are also stunningly beautiful. Dr. Matrai has worked at Bigelow Laboratory in East Boothbay Maine for 20 years. A native of Chile, she came to the United States and studied Biological Oceanography at UCSD’s Scripps Institution of Oceanography. 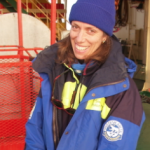 She is particularly interested in how sulfur cycles through the ocean, the biological production and consumption of organic sulfur and halogenated compounds, and the role of phytoplankton as both a source (through respiration) and sink (taking in for energy) of carbon dioxide. 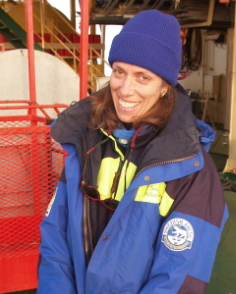 Over the years, Dr. Matrai’s work has taken her north to the Arctic for stints as long as six weeks sampling and analyzing ice cores and the microscopic creatures of phytoplankton that are hidden within. A job not for the faint of heart with cold temperatures that require lots of trial and error to find just the right gear for keeping warm and dry. While she is working intensively in these conditions, she is also conscious of the beauty that surrounds her. “I marvel at the shapes, ridges and color of the ice.” Dr. Matrai offered. “When you visit these places that are hardest to get to and have few inhabitants you feel an urgency to communicate to the rest of the world how delicate these systems are.” she adds. W2O will help the New England Aquarium host Tiny Giants, a photographic exhibit from Bigelow Laboratory for Ocean Sciences, of the microscopic creatures that are vital to our very existence. On January 15th please join us to take a closer look at the ocean. Tickets are on sale now!